This pen looks really thin. This is not thin in a bad way, jut thinner than a lot of pens I own. The barrel also tapers quite a bit, which surprised me, considering the length of the cartridge. That said, it looks sleek and slick. The black version has a sort of missile/squid look to it, while the clear one is just...neat. 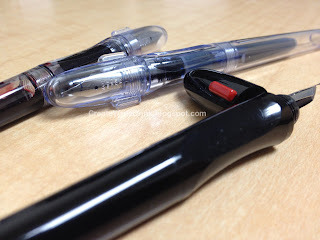 While the plastic is bright and shiny, it does not give the appearance of being a cheap, plastic pen. Having used other starter fountain pens that were made of cheap plastic, the Penmanship does not have the same brittle look to its body. The threads on the cap+section and section+body are tightly spaced, so that the pieces do not wobble while screwing them together. Additionally, the cap has two small wings to aid in the screwing and unscrewing of it from the body. This pen comes in two colors: clear and black. The clear pen is entirely clear, except for the feed and nib, though the plastic does have a very slight blue tint to it. The black pen has red wings on the cap, but is entirely black aside from this (not including nib and feed). In my hand, the weight, shape of the grip, and the distance between the grip and nib cause me to write slower and more cautiously than something like a Preppy or a Safari, where the grips are either round or down closer to the nib. This slower writing actually improves my handwriting, though it does not allow for the quick scrawling of notes. Thus, I would say that this design, in my hand, fulfills the name of the pen quite well. I rated it a seven because I do not feel as though I could write with this pen for a very long time and have it remain entirely comfortable. My first realization regarding this nib was just how fine it is. It is labeled as an extra-fine, yet coming from Pilot, I wonder if this is a Japanese extra-fine, as it appears to be finer still than the extra-fine nib on my Lamy Safari. This nib is a dry writer and a bit sharp-edged, picking up fibers from cheap papers and causing a bit of ink spread until one stops to clean away the bits. However, it does put down ink very well. I do like that this nib can be swapped with those from the Pilot Plumix, the Pilot Pluminix, and several other Pilot pens, providing an entirely new feel for the pen. I quite like the filling system on these pens. They are cartridge converter, and all of the Penmanships I own have come with a single, black Pilot-brand proprietary cartridge. Despite taking proprietary cartridges, this still works well for those interested in using bottled ink. The Pilot proprietary cartridges are sturdy and have a wide opening, allowing for easy cleaning and refilling. Additionally, converters are available, and I have managed to successfully convert one of these Penmanships to an eyedropper fill. 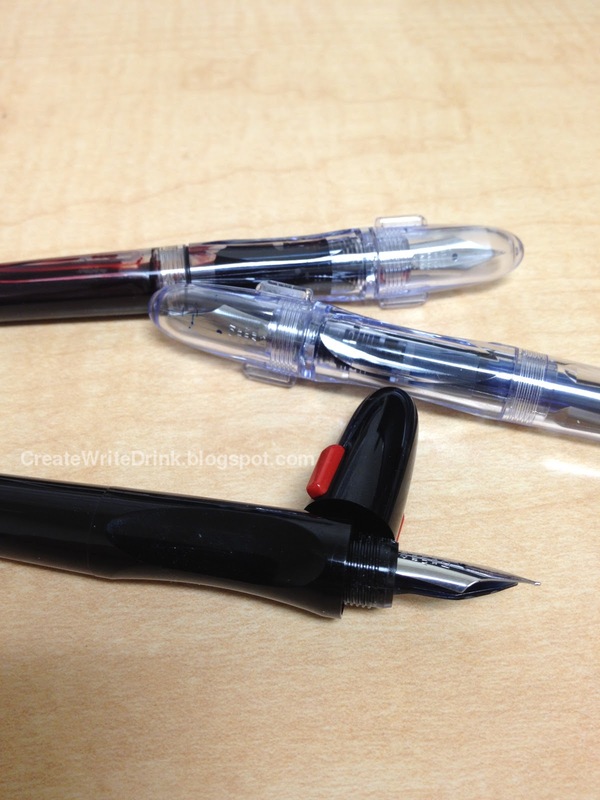 At $8.25 (USD), I would not term these pens “dirt cheap starter pens,” but I would say that they are a great deal. Plus, the Pilot Penmanship makes an excellent addition to a starter fountain pen collection (or even that of someone well-versed with pens). Overall, I think this is a great pen. In my mind, there is a simple formula for whether or not to buy one of these: IF you do not have an extra-fine pen (OR do not have one that you like OR want another one) & IF you are interested in trying one, then DO buy one of these pens. 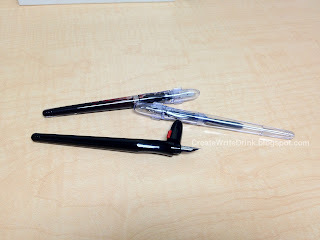 These pens can be purchased from JetPens.com, here.